Sergei Troubetzkoy grew up in Richmond, Virginia where he began his career which has included working for tourism programs in Richmond, Petersburg, Staunton and now Bedford, Virginia. 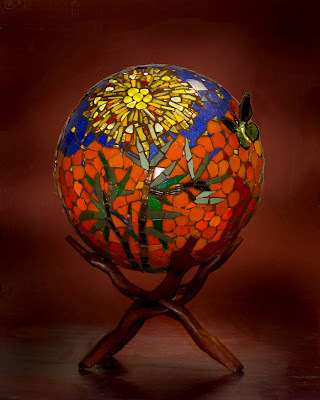 Over the years he has worked in many mediums including gold and silver, glass, photography, painting and now mosaics thanks to his neighbor Dotti Stone who teaches classes in mosaics at The Bower Center for the Arts in Bedford. 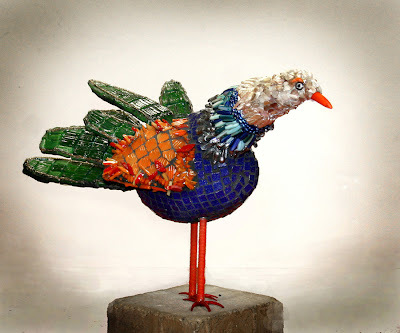 After completing his first mosaic project, a gazing ball, he quickly moved on to creating mosaic eggs (many of which use actual egg shells) and most recently a fanciful mosaic-covered bird. 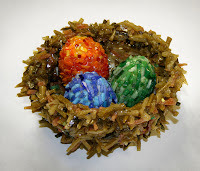 Working with three-dimensional surfaces such as eggs is challenging due to the irregular shape and curved surface and as a result it requires very small pieces of tile, most of which are hand-cut. Working with tiny pieces of glass and irregular surfaces can test the patience of anyone! 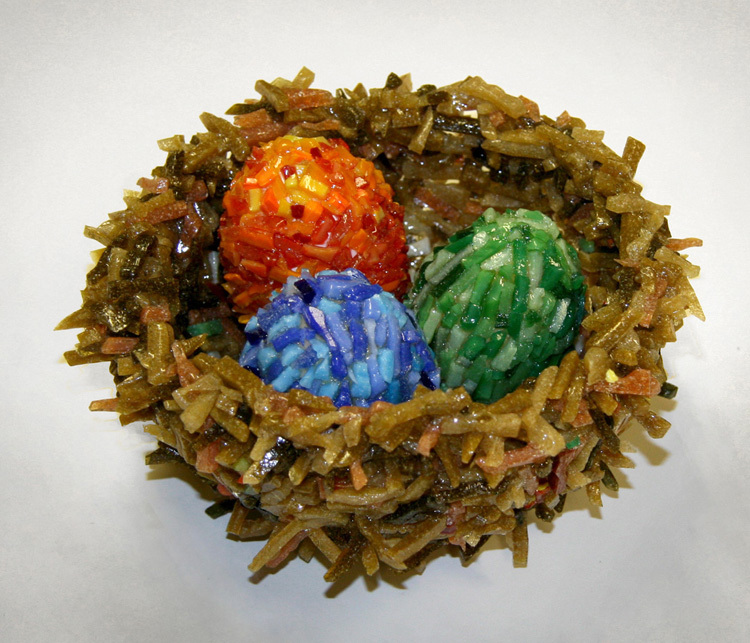 Because of the small size and shape, it takes a long time to complete just one egg because only a small fraction of the surface can be worked-on at a time. Sergei enjoys experimenting with various colors and textures to create unusual and unique objects.